Giving Little Canyon Trail and Little Canyon Park to the private Grand Canyon University because they asked nicely is a bad idea. There’s a very bad plan that’s being considered by the City of Phoenix: to hand over Little Canyon Park and Little Canyon Trail in northwest Phoenix to the private Grand Canyon University (GCU) because, well, they asked nicely? GCU says that they’re going to rebuild the park and trail on land they currently own and will then give that over to the City of Phoenix. Earlier today, I did a site visit of both Little Canyon Park and Little Canyon Trail. While I can’t speak for the history of Little Canyon Park, I can speak a bit on the history of Little Canyon Trail. 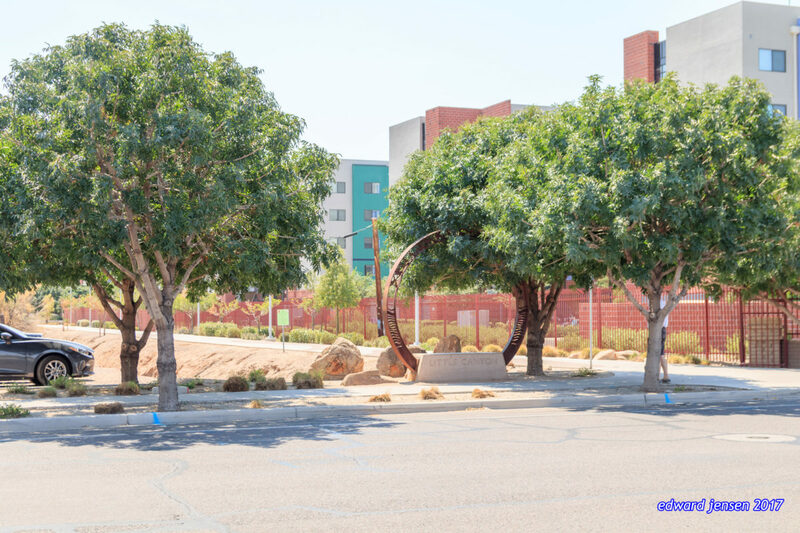 It was a 2010 City of Phoenix Public Art project that is built alongside the historic Salt River Project Lateral 14.4, or along where 31st Avenue would be between Camelback Road and Missouri Avenue. Veteran Phoenix public art artist Laurie Lundquist worked with the community to transform an abandoned and forgotten piece of infrastructure to a well-loved community treasure that transports non-auto users from the residential neighborhoods north of Missouri Avenue to the commercial and transit corridor of Camelback Road. This was a $1.2 million public investment in that part of Phoenix. Fast forward to 2015. Grand Canyon University has expanded from a small campus to a major presence in northwest Phoenix and wants to block off part of the trail for students to access residence halls on the east side of the 31st Avenue alignment to the campus on the west side. Everyone at that time agreed that preserving the continuity and artistic integrity of the trail is of paramount importance. Even GCU seemed to agree with that assessment. And fast forward, again, to today. I’ve learned about a series of public meetings to discuss the latest threat to Little Canyon Park and Little Canyon Trail, which is why I’m writing this essay. There is a final public meeting tomorrow (Wednesday September 6) at 6pm at the Helen Drake Senior Center at 7600 N 27th Avenue and if your schedule permits, you should listen. In 2015, City of Phoenix voters approved the latest revision of the City’s General Plan. The overriding theme of the plan was Phoenix as connected oasis. Little Canyon Trail is the perfect embodiment of that connected oasis and of all of the major themes of the General Plan. It connects people to places; it celebrates water, that most precious resource for a desert metropolis; it is an open space in the midst of a university campus and thriving neighborhoods. It would be a great shame if the City of Phoenix allowed Little Canyon Trail to go to private hands that would destroy the continuity and artistic integrity of the trail just because GCU asked nicely. Fiscal hawks should lament this as it is a loss of a $1.2 million investment that the City made in northwest Phoenix. The historic preservation community should lament the loss of one more of Phoenix’s historic laterals. And all of Phoenix should lament this loss as the erosion of its core principles in its 2015 General Plan. The City of Phoenix should say no. Previous Previous post: It’s been too long!